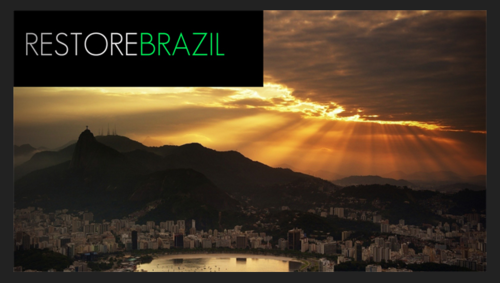 The next couple of post will be stories from our team that went to Rio de Janeiro, Brazil. Hey everybody, it’s Rachael Mirabella (soon-to-be-Boyd!). 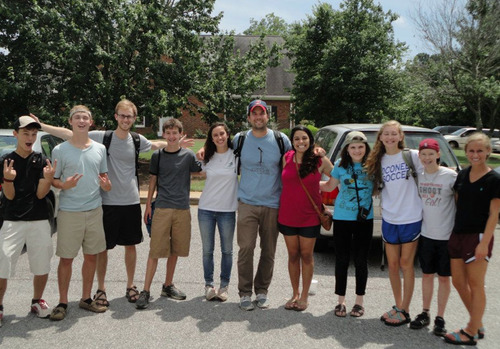 I was privileged to be one of four leaders on our youth group’s recent mission trip to Brazil. I could talk about a thousand different things from our week in Rio, but I want to share is the two biggest lessons I learned. I was floored by the three pastors we worked with while in Rio - one was American and two were Brazilian. You want to see people who love their city? We saw them. As they took us to a church to do VBS, to an orphanage to play with kids, to a homeless shelter surrounded by transvestites, to a street in the City of God (one of the poorest slums in Rio), they were not strangers. These were not places they just take teams of Americans every once in a while to give them an experience. These are places they go, week in and week out, to tell people about Jesus. They bring spiritual and practical restoration to some of the darkest places on earth. They are loved by the people in these places. The name of their organization, Restore Brazil, is very fitting. That is what they are working towards. And they are working hard! They know their city, they know the needs, and they are working tirelessly to meet them. At first it made me ashamed to think of these pastors coming to Athens. What would they think when they saw how little I knew my city? Then I realized there is no need for shame. Jay, Paulo and Rabsom were very quick to admit that working for restoration is a long process. I don’t need to be ashamed; I need to be inspired. Over and over again, Collin and I prayed for one big thing. We prayed that the Spirit would move. We asked Him to move in our hearts, the hearts of our students, and the hearts of the people in Brazil. The whole trip was pointless if Jesus wasn’t there; He is the one that changes people. I was blown away moment after moment as I watched God change hearts that week. Some were very small changes, some were very large (our bus driver became a believer! ), all were a blessing of grace from Him. Personally, God was working away at my pride and cultivating humility. He by no means achieved perfection in my heart, but He did some good work. He also encouraged my faith by allowing me to see Him answering prayer. So those were two big lessons learned! God answers prayer, and I want to be passionate about my city because my God is passionate about people.